The Cathedral of St Andrew (often referred to as St Andrews Cathedral) is a ruined Roman Catholic cathedral in St Andrews, Fife, Scotland. 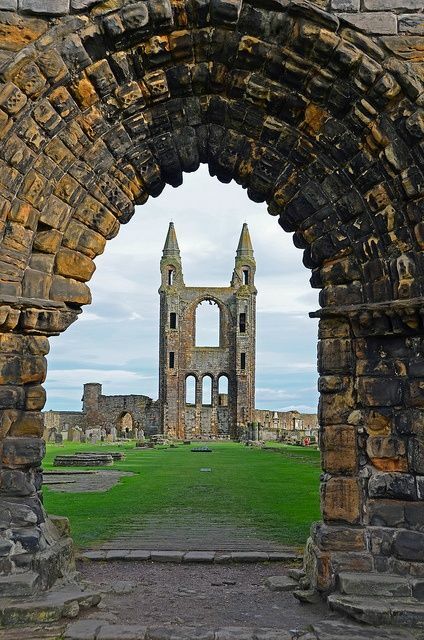 It was built in 1158 and became the centre of the Medieval Catholic Church in Scotland as the seat of the Archdiocese of St Andrews and the Bishops and Archbishops of St Andrews. It fell into disuse and ruin during the 16th century Scottish Reformation, after which Catholic mass was outlawed. It is currently a monument in the custody of Historic Scotland. The ruins indicate that the building was approximately 391 feet (over 100 metres) long, and is the largest church to have been built in Scotland.